My book, The Travel Mamas’ Guide, won the San Diego Book Award for Best Travel Book! To celebrate my award-winning (yay!) family travel book, I’m offering a 15% discount off the guide through the end of July! While I was off having a ball on a family reunion vacation at Keystone Resort in Colorado, I missed the San Diego Book Awards Association Annual Ceremony at which winners for each category were announced. I felt so blue when I returned home after several days of summer snow-tubing, horseback riding and hiking with 12 of my favorite people in the world. A peek at the SDBAA’s website perked me right up, however, when I discovered The Travel Mamas’ Guide won the San Diego Book Award for Best Travel Book of the year. The San Diego Book Awards Association has honored the best published books by San Diego authors for the past 20 years. Entrants are narrowed down to the top contenders. Then a winner is chosen by a panel of judges for each category. The prize? Bragging rights! And so here I am, bragging! 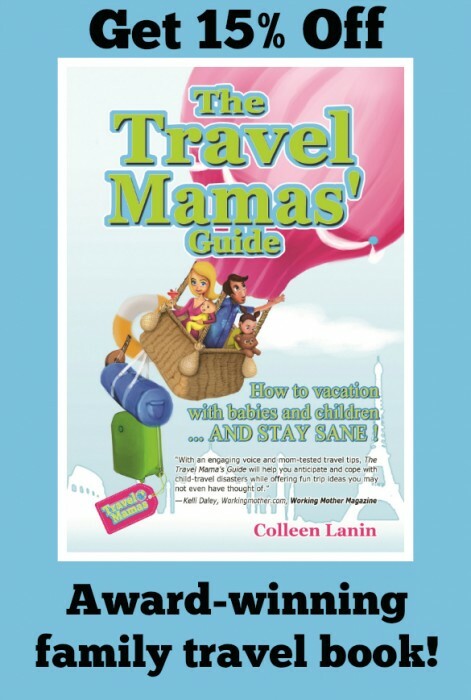 The Travel Mamas’ Guide is recommended by Working Mother Magazine, the Orlando Sentinel, LA Family Magazine, the Calgary Herald and many other publications. In the guide, I share which toys to pack for the journey, road trip activities that are fun for the whole family, how to enjoy (or at least not dread!) airplane travel with children, what to feed picky eaters while away from home…and much more! The only thing that could make me feel even better than being the author of an award-winning family travel book? Embarking on another multigenerational family trip…or perhaps if you bought a copy of The Travel Mamas’ Guide! Use discount code PRXXC75Y to get 15% off your guide today. What award have you received that made you want to celebrate? Let us know in the comments below! A Note from The Travel Mama: Keystone Resort hosted some activities for my immediate family of four during our recent trip to Colorado. Home » BLOG » Award-winning Family Travel Book – The Travel Mamas’ Guide!